So nice of you to stop in today. Since all my art supplies are still in storage after our move and while my broken leg heals, I wanted to share this black and silver Christmas card from a prior year. That post was the most popular among all my blog followers. I hope this card inspires you to create one of your own. I would love to see what you create. You can share it in the comments of today's post. I'll be back in a couple of weeks with more brand new posts and cards. 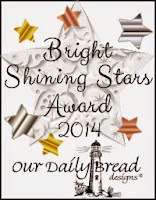 I am so very honored to be among the Bright Shining Stars of 2014 chosen by Our Daily Bread Designs. I love ODBD and all they stand for. They make it so easy for me to share my faith and love of our Heavenly Father. I am especially fond of their scripture stamps and dies. I'm still down with a broken leg for another month. All my card making supplies are in storage while our house is being finished and I heal. Thank each of you who has offered prayers and good thoughts on my behalf. Looks like I'll be down awhile. The good news is that we sold our house. The bad news, when we were moving the furniture out, a big heavy piece fell, and I didn't get out of the way quite quick enough. Broke both bones in my lower leg. The best news is that the doc was able to fix everything! 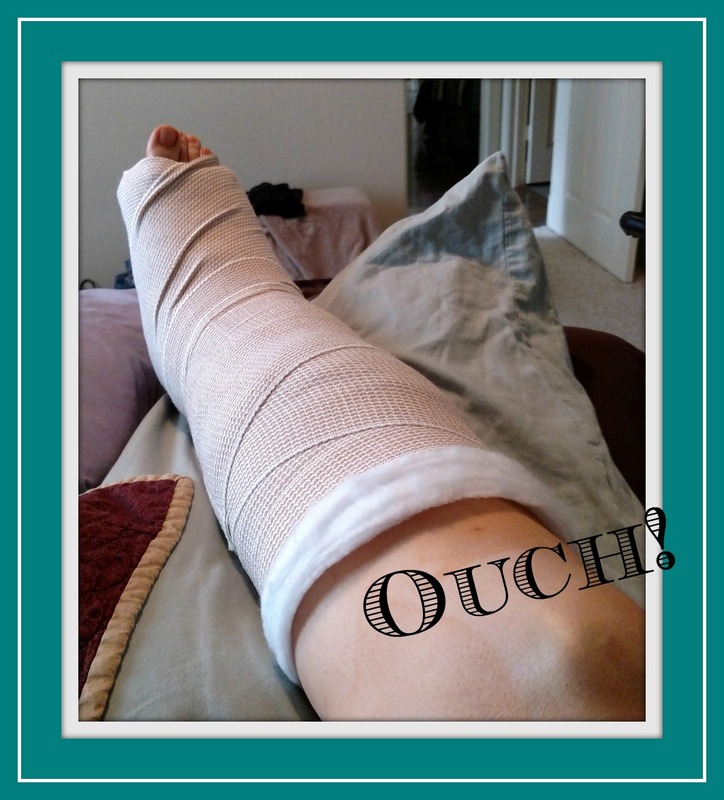 It was a very bad break and the doc has me on strict bed rest for a few weeks. Our new house is not ready yet, so we are staying with relatives. They are very gracious to me. When I find my papers and inks probably in late September, I'll be making cards again. Until then, I'll enjoy seeing what you guys make for your blogs. This is the day the Lord has made and I WILL rejoice and be glad in it! Update: Excited to hear that my card is among this month's winners! Today, I have a card for the Stack-a-holic Challenge at DCWV. I used the Homespun Cardstock Stack to create my card this month. I've been hoarding the last few sheets from this collection. It is one of my all-time favorites!!! The cardstock comes pre-scored as you see here. I used a combination of dies and punches to create my circles. The sentiment stamp is from Our Daily Bread Designs Friendship (B52) collection. There are still a few days left before the deadline. Come join in the fun! Here's a link to all the rules and a copy of this month's sketch. Welcome to the CardMaker and Clearsnap Blog Hop and giveaway! 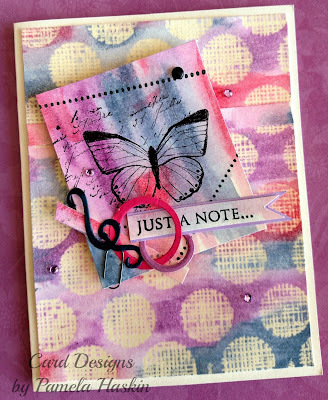 I've had so much fun this week playing with the new ColorBox chalk inkpads from Clearsnap! I love working with chalks, especially when I'm in a hurry. No waiting around for the ink to dry before you can work on the next element. They dry instantly once you've stamped your image. I love how this card turned out. I know just which friend to send this to. She'll love it! But, I digress. I love the look of just a touch of color on the edges of my cards. 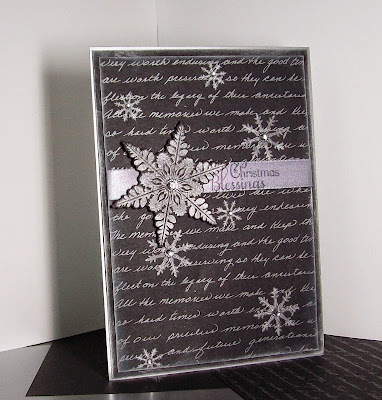 For the small squares and the edges of this card, I tamped the paper edges against the chalk inkpad. I adhered the squares with foam tape. Then, I stamped and die-cut the flowers, butterfly and sentiment. I finished it off with a few pearls on the butterfly and adhered him with foam tape. This card has a completely different feel about it. To create the front panel, I started with a sheet of watercolor paper. I trimmed it to size, and then I took two of the chalk pads (Cheeky and Splash) and rubbed them lightly across the paper. I wanted them to overlap where they met to create a third color. 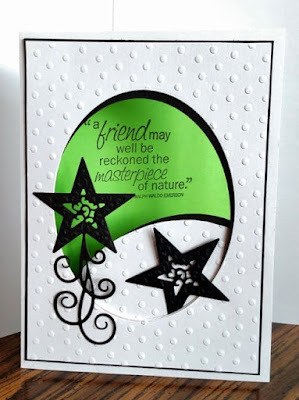 I stamped the flourish with the same color (Cheeky) I used on the background. 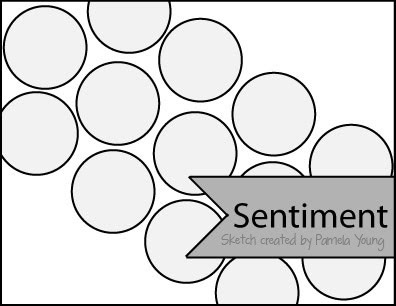 I created the sentiment and border edges with the background color (Splash). As you can see, you can get lots of shades from the same chalk ink pad. Thanks for hoping with us today! Your next stop is Chana's blog. Make sure you stop in at all the blogs and leave a comment. We love hearing from you! 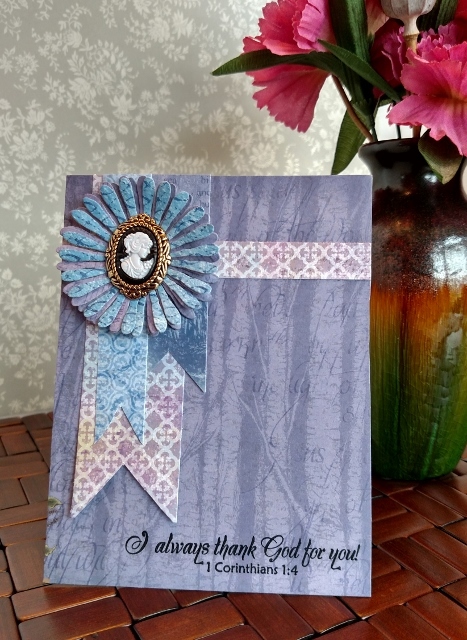 Clearsnap is our host for today's blog hop and and very generous giveaway. They are giving $50 worth of ColorBox products to one lucky hopper. Good luck! If you get lost or find a broken link, you can go back to CardMaker's blog where there is a complete list of participating hops. 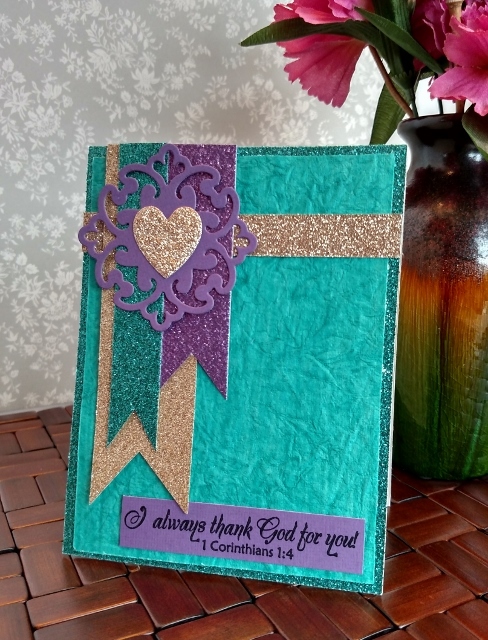 Today I have a card for the Shining the Light Challenge over at Our Daily Bread Designs. The theme this month was April showers bring May flowers. I sized my picture a little bigger than I normally do because I want you to see the texture of the flower petals. Aren't they pretty!?! I created them by first rubbing distress inks heavily across watercolor paper. Then, I die cut the flowers and vine. 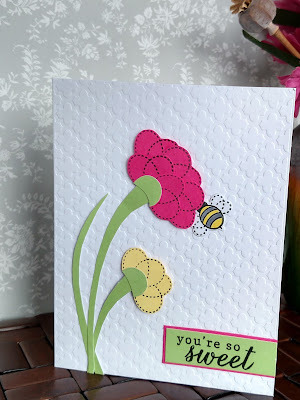 Welcome to the CardMaker and Reverse Confetti blog hop and giveaway! Those of you familiar with my work know that I love finding new and unexpected ways to use my stamps. Today's post is no different. I used 'The Buzz' stamps and matching dies from Reverse Confetti to create my two cards. 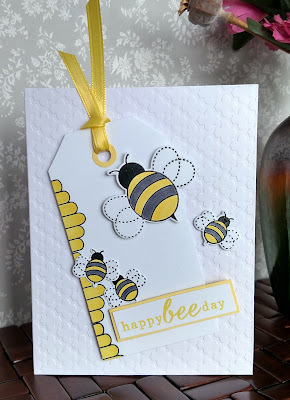 For my first card, instead of using the hive as one might expect, I used it to add detail along the edge of my tag. I heat-embossed it in black then colored it in with a yellow alcohol marker. 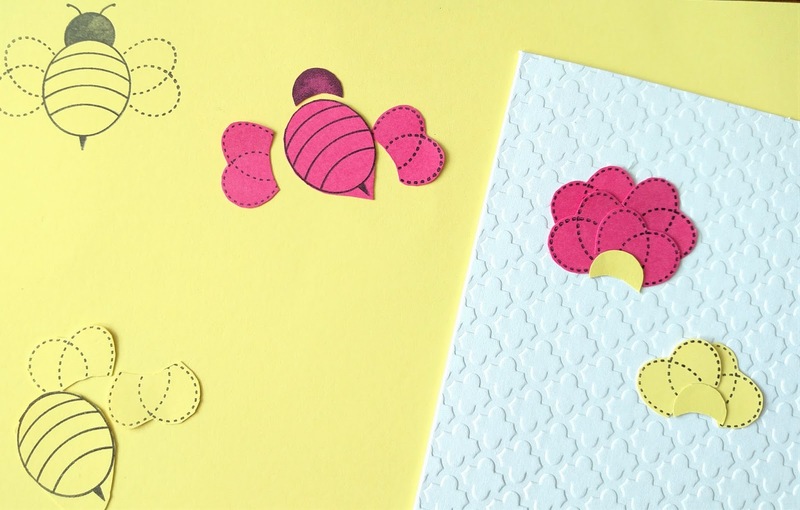 The bees are also heat-embossed and colored in with alcohol markers. 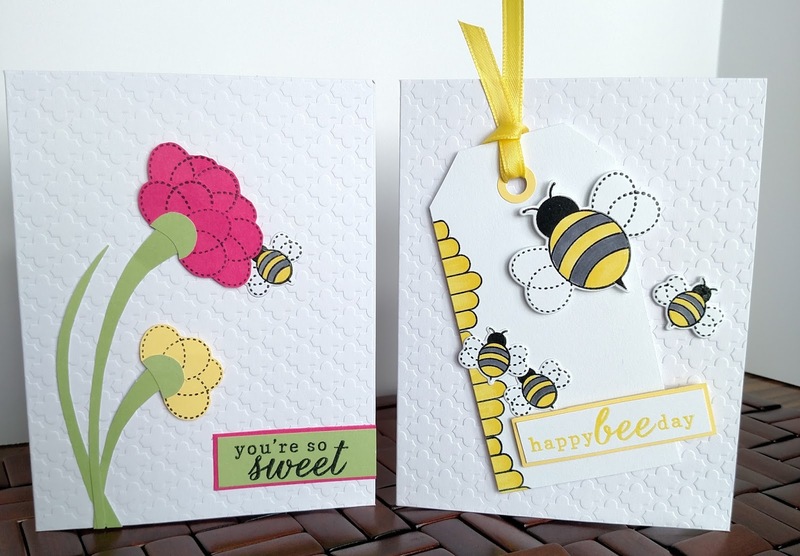 I added foam tape behind the big bee, the sentiment tag and the little bee on the right. For my second card, I used the bee's wings to create flowers. I began by stamping the large bee stamp several times on pink and yellow cardstock. I cut the pieces apart as shown here. I did later stamp the bee on green cardstock to use to attach the stem. I thought it looked better in green, but yellow, as in this photo, works too. Next, I arranged the petals into a flower shape and adhered them to each other. My pink flower has five sets of wings. My yellow flower has two sets of wings. I set aside the bee's bodies to use as balloons on another card. 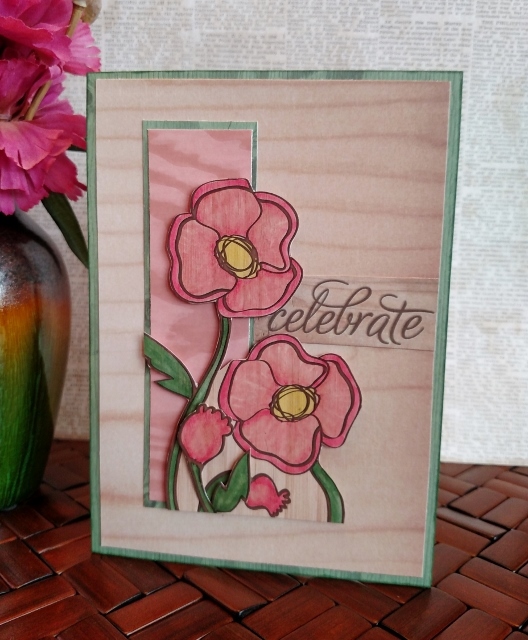 I used the same card base on both cards to show how versatile this stamp collection is. As you can see, I was able to really stretch this stamp set to get a completely different look. Thanks so much for hopping with us today. Your next stop is Amy Rohl . If you get lost or find a broken link, pop back over to CardMaker and you'll find a complete list of the hops. 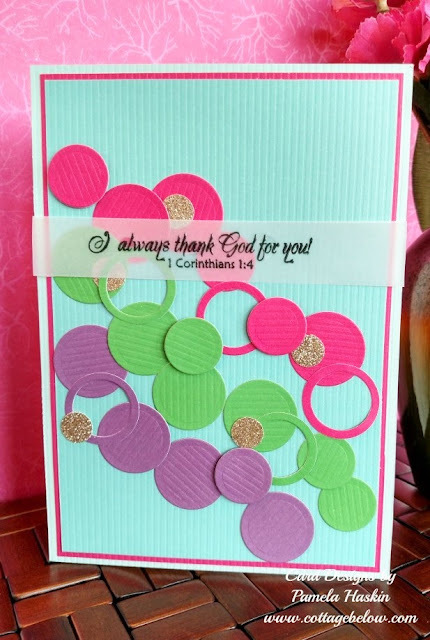 Check out my storage-tips on the CardMaker Blog today! Find out why I'm the Notebook Queen. And, what's up with that cute raindrop holding court on my bookshelves? 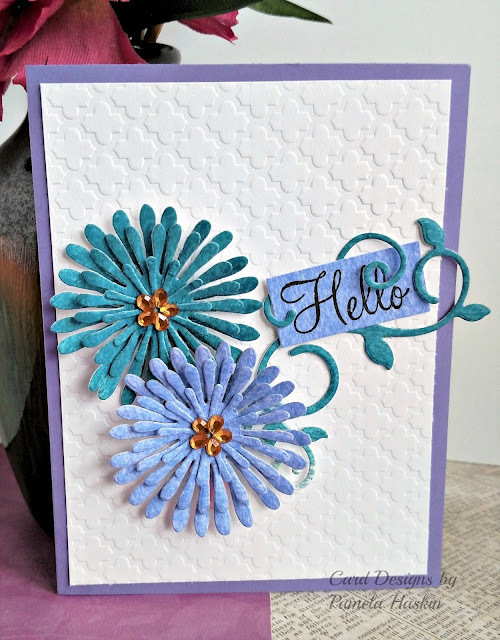 Welcome to the CardMaker and The Greeting Farm blog hop and giveaway! The Greeting Farm is giving away a great prize for one of you hoppers so keep reading. 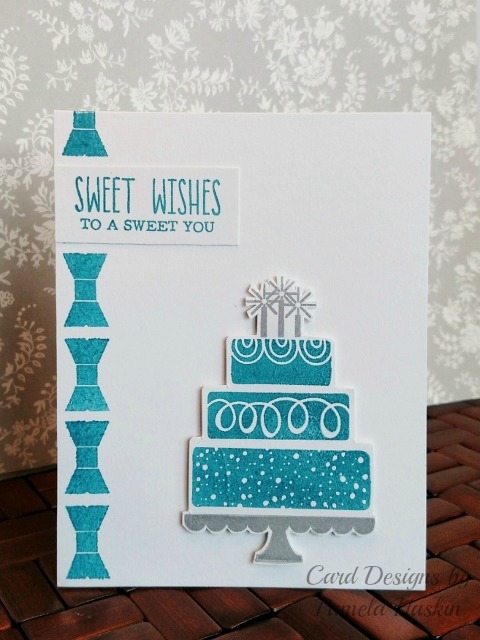 I chose to create my cards using the birthday cake stamps from The Greeting Farm. There are lots of possibilities for this collection. There are several size and design cake layers to mix and match. Since I needed a birthday card, I decided to start there. I created the trim on the left side by turning a bow meant for the cake top on it's end. 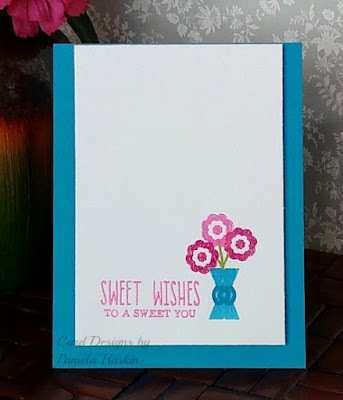 On a separate sheet of white cardstock, I stamped my chosen layers, cake stand and candles. I fussy-cut the whole cake and adhered it with foam tape. 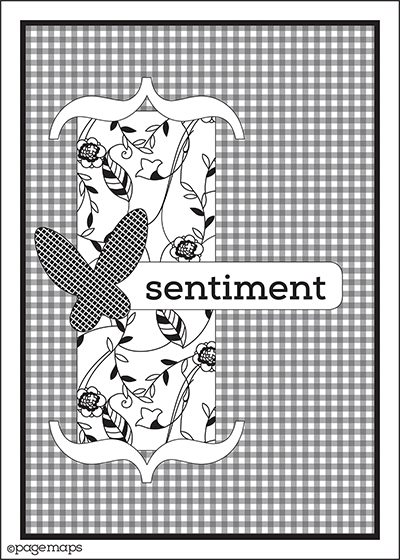 Then, I stamped and trimmed the sentiment tag. I used a chalk ink pad for the cake and trim, silver pigment for the stand and candles. For my second card, I heat-embossed the bow to use as a vase. I added a tiny punched link to the vase to give some dimension. 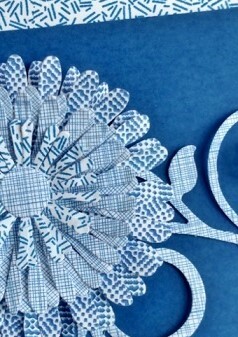 Then, I heat-embossed the flowers. Like the bow-vase, the flowers were meant to be used as decorations on a cake. With a small paint brush, I picked up pigment from an ink pad and drew in the stems. Finally, I heat-embossed the sentiment and adhered the white panel to the blue card base. 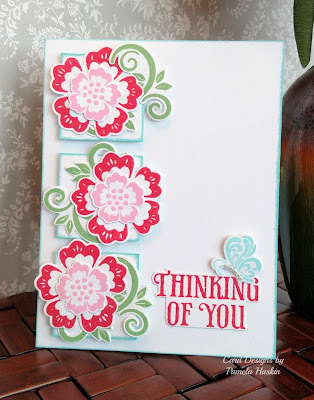 Be sure and stop by my fellow CardMaker magazine blog team member's blogs and see all the inspiration they have to share with you today. We all love hearing from you and reading your comments. Your next stop is at Carisa's. Thanks so much for hopping along with us today! 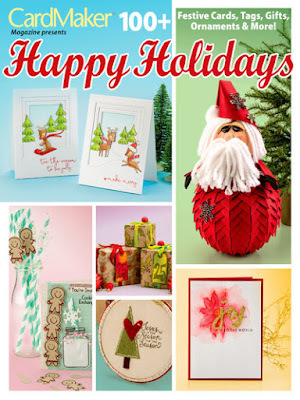 The Greeting Farm is giving away a $50 gift certificate to one lucky hopper! So excited to share my news with my faithful followers. CardMaker magazine published another of my cards! Want to make a card like mine? You can find all the details in the Summer 2016 issue which is on newsstands now. Or if you prefer, here's a link to CardMaker magazine's website where you can get a digital and/or print copy. I heat-embossed the sentiment onto regular cardstock since the crinkle paper does not take stamping very well. Trust me, ink will bleed everywhere on it. TIP: I have found out through much trial and error and more error that glue dots are the best adhesive to adhere things to solid glitter sheets. UPDATE: So excited to hear that my card is on the winners list! 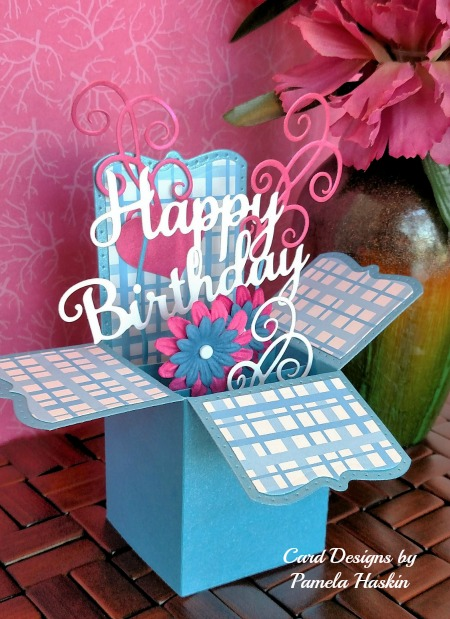 Time for another challenge over at Die Cuts With a View! I used the Good Wood Stack for my card today. All the cardstock I used to create my card, including the sentiment tag that I cut from one sheet, was in this stack. I colored the poppies with alcohol markers, fussy cut them and adhered them with foam tape. The small bud on the left side is layered with foam tape on top of the other flowers to give my card even more depth and dimension. Here's a copy of the sketch we had to work with this month and a link to all the rules. There's still plenty of time to join in all the fun. I love mixing prints. I know all my choices go together today because someone else has already figured that out. All the prints come from the same 6x6 pad. I die cut several layers of flowers to add dimension and a little elegance to my card. I heat-embossed the sentiment and used hot glue to adhere the cameo button.